If you have not seen No Country For Old Men, you are robbing yourself of one of the best films of the last decade. Sir Charles Moran of the esteemed Zomic.org designed this very detailed print for an art show that is themed out of several excellent films. It is a 5-color print on oatmeal French Paper cover stock. It is trimmed down to size by hand and will be available from Zomic.org. A limited of 70 prints were screened. It is no secret that we here at ABNRML are rabid Brothers Past fans. The Big F'n Boat Cruise was one of our first real posters and was really embraced by the band and the fans. We followed that print up with a beautiful print for The Bowery and a TLA print for their epic New Years performance and the last time they played at the venue. 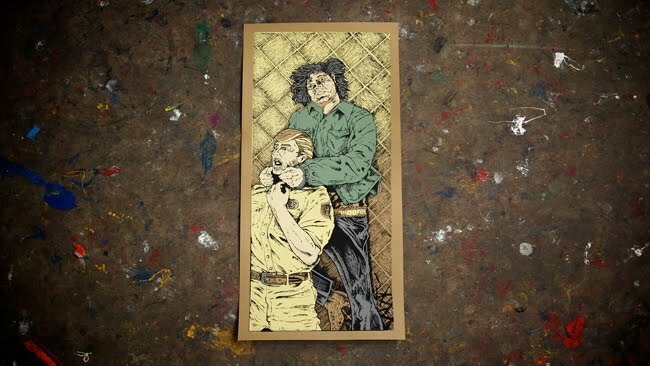 We are very pleased to offer this fourth art collaboration between Brothers Past and ABNRML. T-Bone and Aljax stepped up and designed this fantastic design for their performance at the TLA on March 26, 2011 with Somata and DJ Everyday. 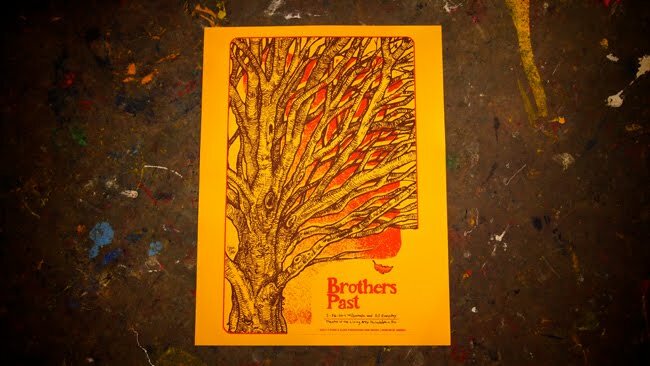 It is a 2-color print screened with love on 19"X25" bright yellow French Paper cover stock. A very limited number (30) were screened for the show and will be available at ABNRML.com and at the merch table at the TLA. The print can be purchased here. Our good poster buddies T-Bone & Aljax had the opportunity to design a series of three posters for the legendary Queens of the Stone Age! They seized the opportunity and banged out (no pun intended) three sexually charged prints. Each was printed with love on 19"X25" French Paper cover stock. 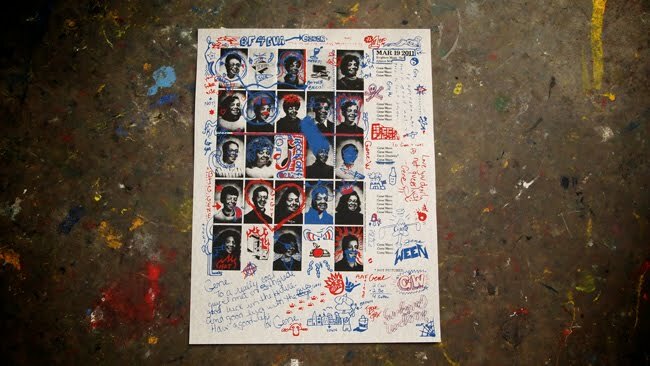 An edition of 150 prints were screened for each design. The first one is for the bands performance at Workplay in Birmingham, AL. It was a three color print with glorious halftones on black paper. The result. The second poster in the Queens of the Stone Age series is a really neat print for their performance at the Center Stage in Atlanta, GA. The white paper border and bright colors truly need to be seen to appreciate. In this 4-color print, Tony and Alan once again utilize halftones to achieve some very jaw dropping gradients. The act. 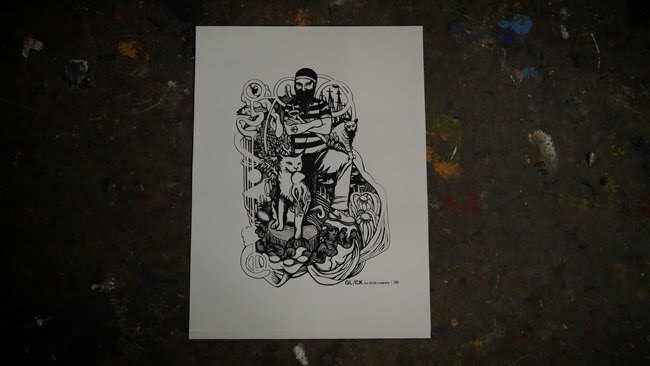 The last print was also screened on black French Paper. 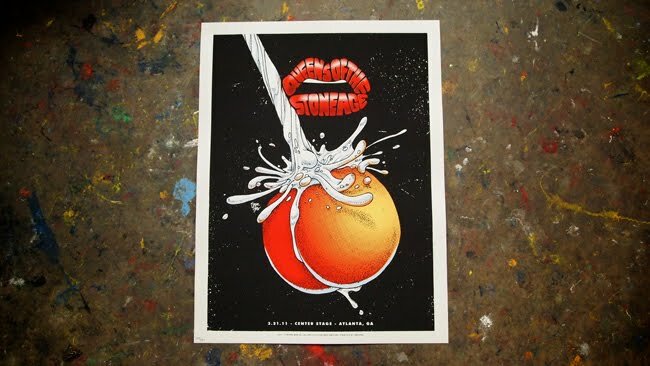 It is a 4-color print for their performance at the Orange Peel in Asheville, NC. It will be available with the rest of the posters at the shows. The attraction. 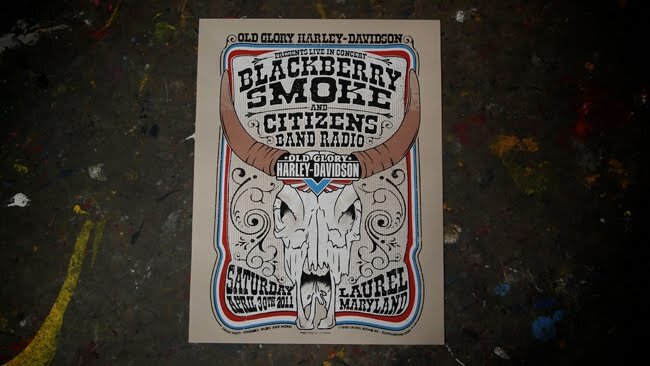 Take a gander at the 2011 show poster for the Old Glory Harley Davidson show in Laurel, Maryland. The show is on April 30th and features music by Blackberry Smoke and Citizens Band Radio. This 4-color print was designed by John Warner over at J Dub All Stars. It was printed on 19"X25" French Paper cover stock. 200 of these were produced and will be available at the show. There is nothing better for a poster design than a clever concept! 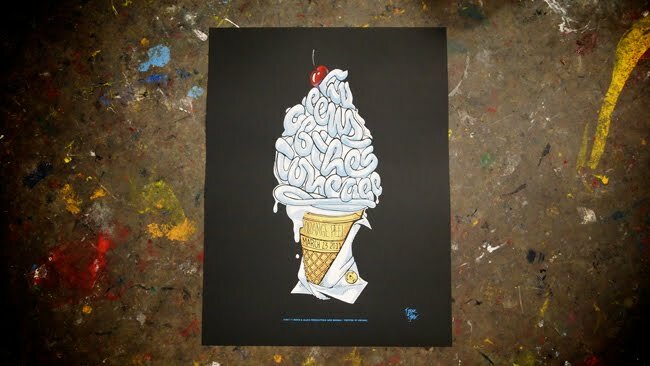 T&A whipped up just that for the latest Gene Ween print. This Gene Ween poster is for his performance on March 19, 2011 at the Brighton Music Hall in Allston, MA. This print was printed and produced by ABNRML.com and designed by T-Bone & Aljax. It is a yearbook style poster that measures 19"X25" and is printed on blue cloud cover stock French Paper. A very limited number of this clever 3-color print were produced and are available from the band on the night of the show or through ABNRML.com. Nothing like a little middle school nostalgia to honor a great musician and please the fans! Pick this print up here! 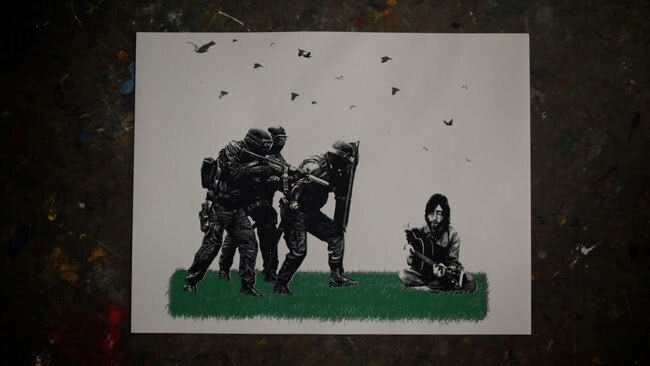 Take a look at this art print with political undertones! It featured John Lennon and separations were created by the one and only John Warner over at J Dub All Stars. This was a 4-color print screened on white French Paper cover stock. It measures 19X25 and is for sale by the artist. A very limited number of these were screened. This is the 3rd art print for The 50/50 Company. The first was the USA art print that was posted a few months ago. We really enjoy the black on white stark appearance of Glick The 50/50 Company's prints. This print was screened on white French Paper white cover stock and is available from them only. It measures 19"X25" and is a 1-color screen print. A very limited number were printed.